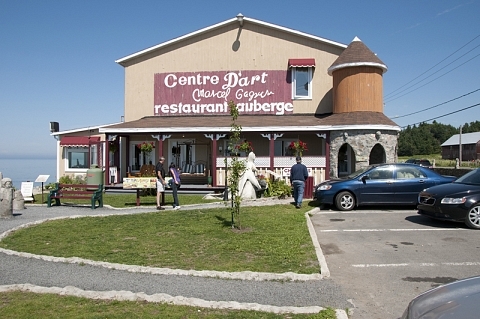 The Centre d'art Marcel Gagnon, located along the St. Lawrence River, features a nature-inspired artwork, the only one of its kind in the world, Le Grand Rassemblement (the Great Gathering), an art gallery, an inn, a restaurant, and a souvenir shop. Enjoy a nice meal and admire 120 sculptures that emerge from the River and enhance the beauty of this site. In a peaceful and warm atmosphere, let the sound of the waves rock you to sleep by spending a night at the inn. Experience art, sea, accommodation and good food. Schedule: early May to end of September, daily. Average length of visit: 45 minutes.